So last week I made it to Nordstrom for a little shopping. It is still my birthday month! 🙂 One of my favorite purchases was this handbag from Big Buddah. It is a great size. This bag is perfect for Mommas like me who carry a lot of kid stuff. The best part about it is the price($95). 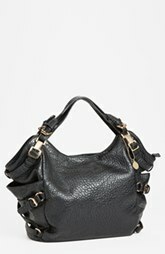 I love a rich looking bag at a fraction of the cost. It comes in four different colors. Check out the Nordstrom Anniversary Sale! Happy Shopping!